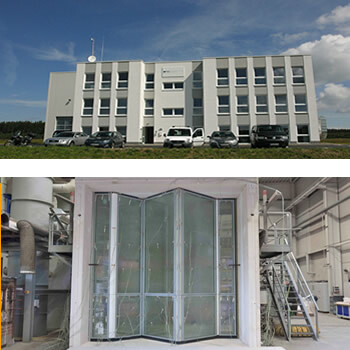 The PTZ fire testing facilities at Erndtebruck in Germany are equipped to the highest standard according to EN1363. Test furnace sizes range from 0.5m x 0.5m to 3m x 3m for both wall and ceiling applications. These facilities are available for use to CHM partners for new product development and for the re specification of existing products. All tests are backed up with video recordings, live feeds if required and full test reports. Let us help you develop your fire rated range of products through our extensive knowledge in passive fire protection and our expertise in intumescent technology. 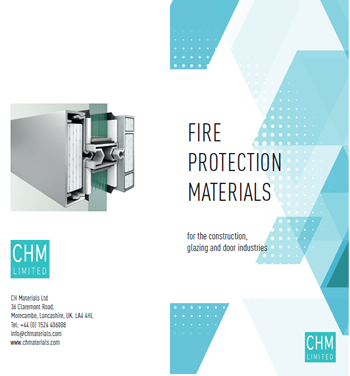 C H Materials are proud to be exhibiting at Firex 2018, 19th – 21st June at the Excel Exhibition Centre in London. Together with our suppliers Rolf Kuhn GMBH of Germany, are at Firex 2018 to promote our extensive range of passive fire protection materials and to showcase our intumescent technologies to help the construction industry rise to the challenge of fire protection in an increasingly challenging built environment. We offer full indicative testing facilities to develop your product range, an extensive range of quality intumescent materials with unique expansion qualities and capabilities for all firestop and fire protection products. High performing thermal protective materials used in FR Glazing, FR Ducting and bespoke engineering solutions. Visit us at Stand A55 to talk about your New Product Development or how your existing products can overcome an increasingly onerous fire test process.